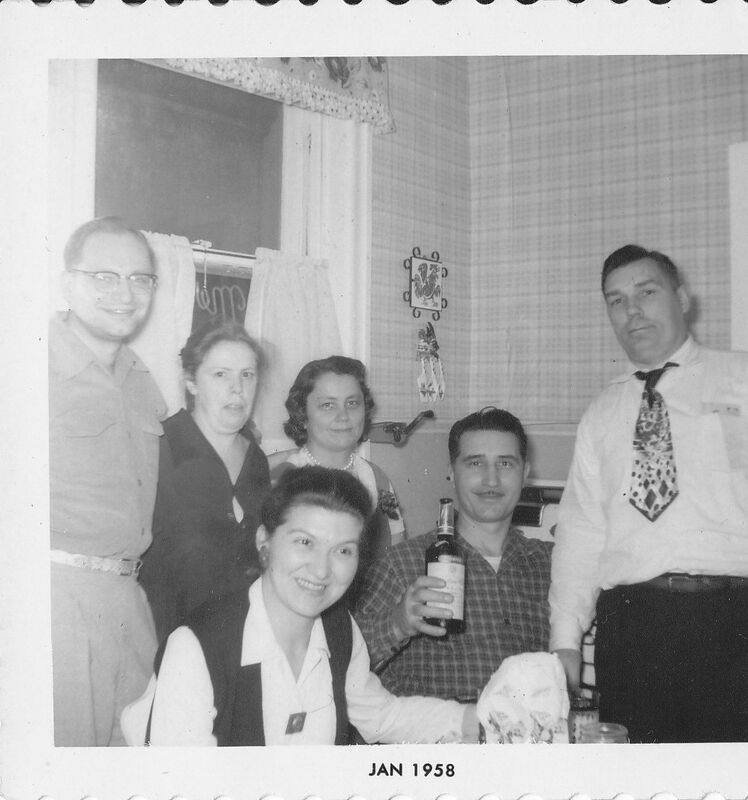 Two unidentified people on the left, Aunt Evelyn, Uncle Alex, Uncle Frank and Aunt Dorothy in front. This entry was posted in Alexander Burnisky, Dorothy Spanogle Burnisky, Evelyn Nagle Burnisky, Frank Burnisky. Bookmark the permalink. the 2 people on the left were neighbors who lived across the alley from grandmom and grandpop’s house on marshall st. clear through till their passings. Eddie and Betty Pucis (sp).